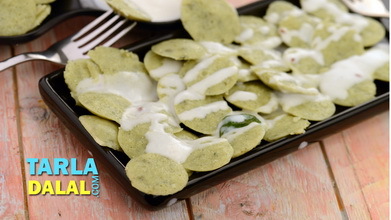 Combine the yellow moong dal , spinach and green chillies and blend in a mixer to a smooth paste without using any water. 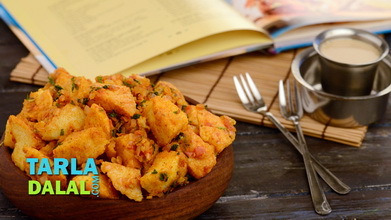 Transfer the mixture into a bowl, add the curds and salt and mix well. 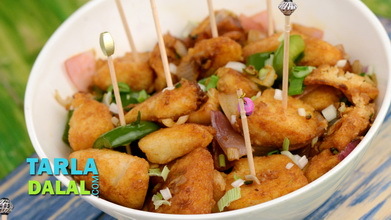 Just before steaming, add the fruit salt to the batter and pour 2 tsp water over it. 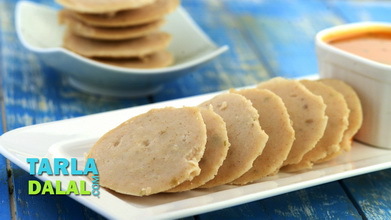 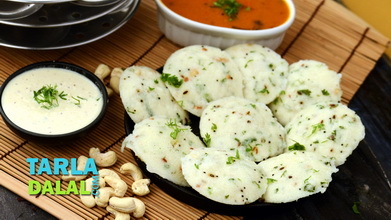 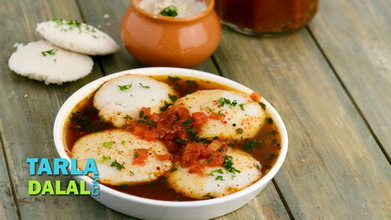 Grease the idli moulds using oil, put spoonfuls of the batter into idli moulds and steam in a steamer for 10 to 12 minutes or till the idlis are cooked. 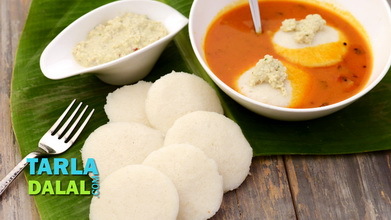 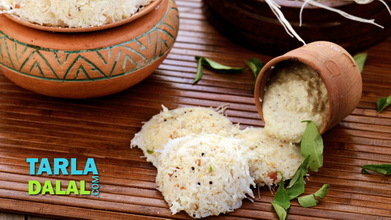 Cool slightly, demould and serve immediately with sambhar and healthy coconut chutney.